"The Saphead" is part of our series "Other Favorite Films". 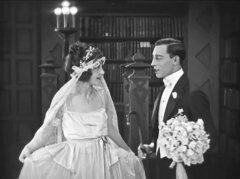 This category includes films that do not feature a particular star from our site, but which in our view represent a major contribution of a silent movie to Arts and Culture. 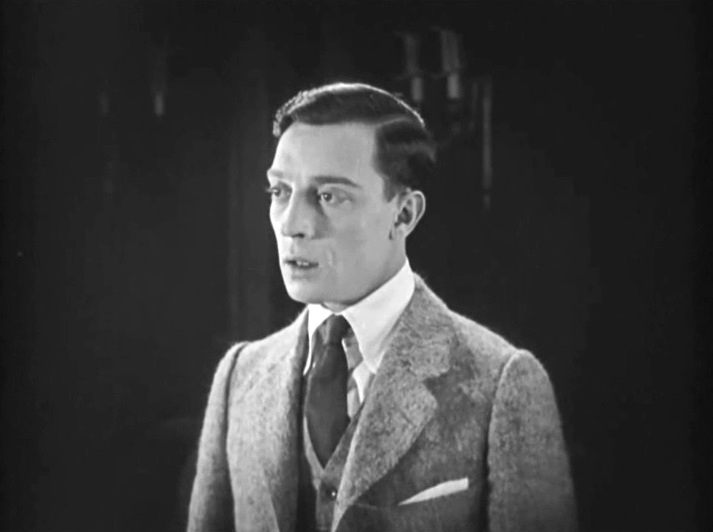 "The Saphead" is a comedy starring Buster Keaton. This was his first starring role in a full-length feature film. Buster Keaton is said to have been recommended for the role by Douglas Fairbanks, who had played the character on stage. 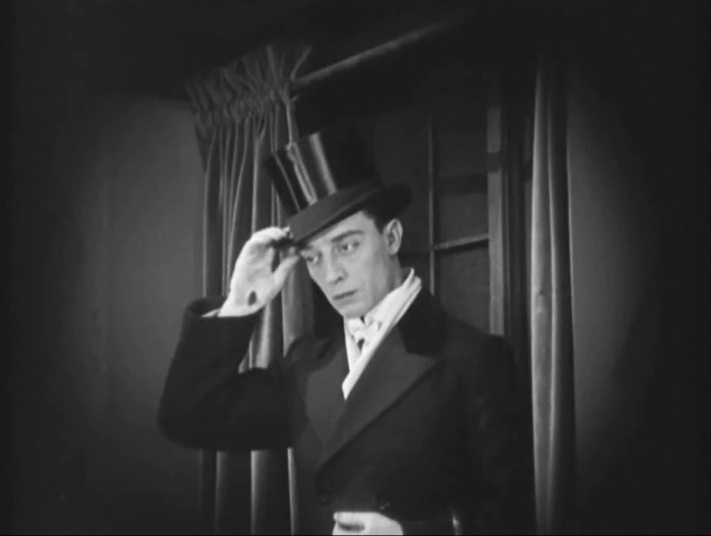 "The Saphead" was a stepping stone on Buster Keaton's way to stardom. Even before this film was released he had launched his independent movie-making. 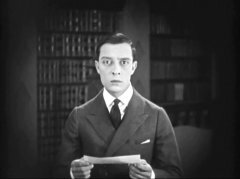 By the end of 1920 Buster Keaton created, directed and starred in four brilliant masterpieces - "One Week", "Convict 13", "The Scarecrow" and "Neighbors". 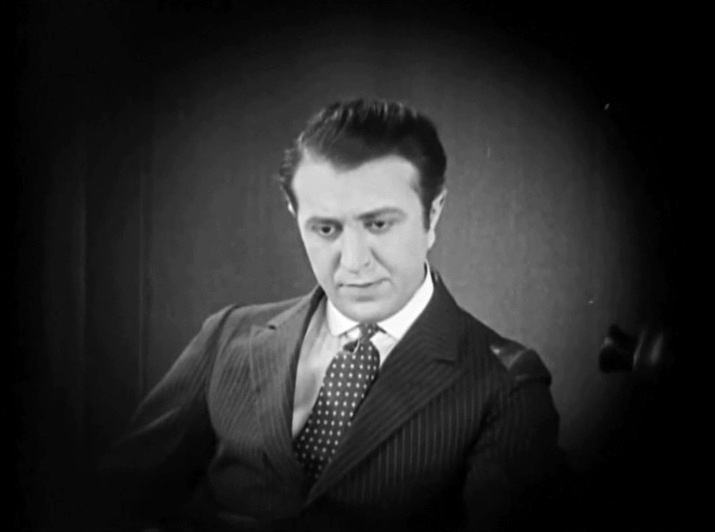 Later he released "The High Sign" (1921), which was made even earlier. To enjoy fully "The Saphead" and avoid disappointment the viewers should know that the typical Buster Keaton that we know appears in the last 15 minutes of the film, when we can see him as the master of physical comedy in a series of amazing stunts. 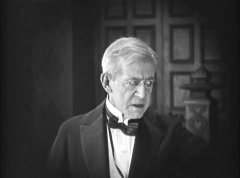 Irving Cummings in "The Saphead" (1920). 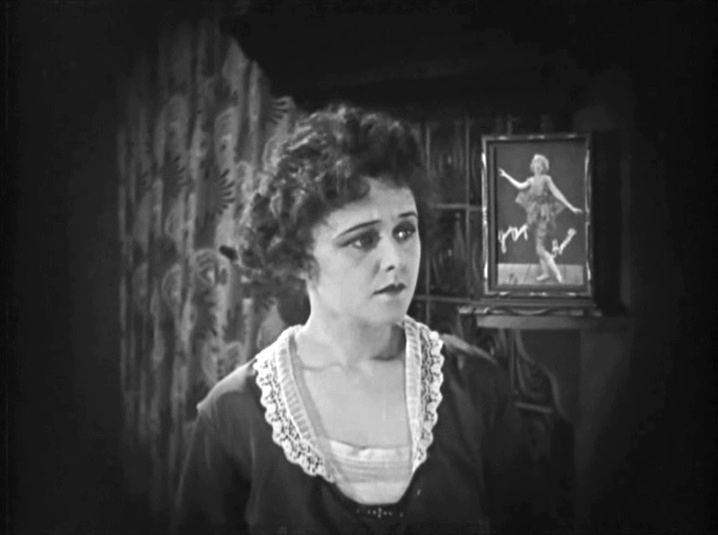 Carol Holloway in "The Saphead" (1920). 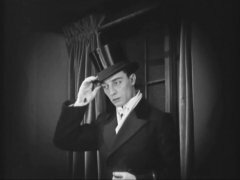 Buster Keaton is dressed in his usual dandy attire in "The Saphead" (1920). Buster Keaton is surprised to get a huge pay-off from gambling in "The Saphead" (1920). 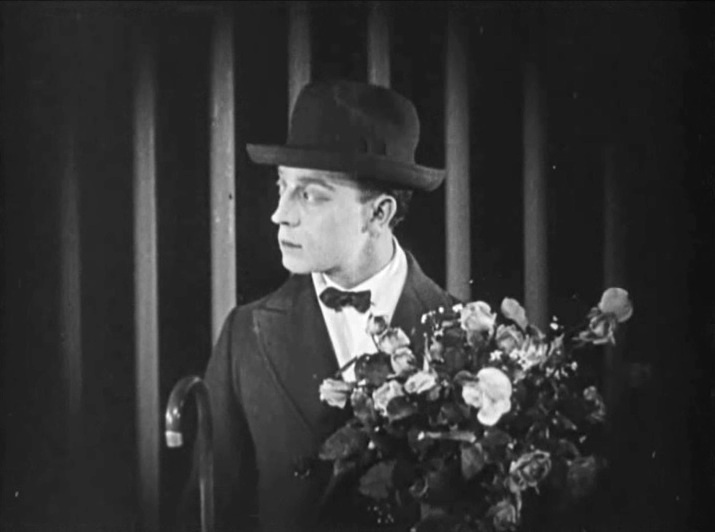 Buster Keaton meets his girlfriend at the wrong station in "The Saphead" (1920). 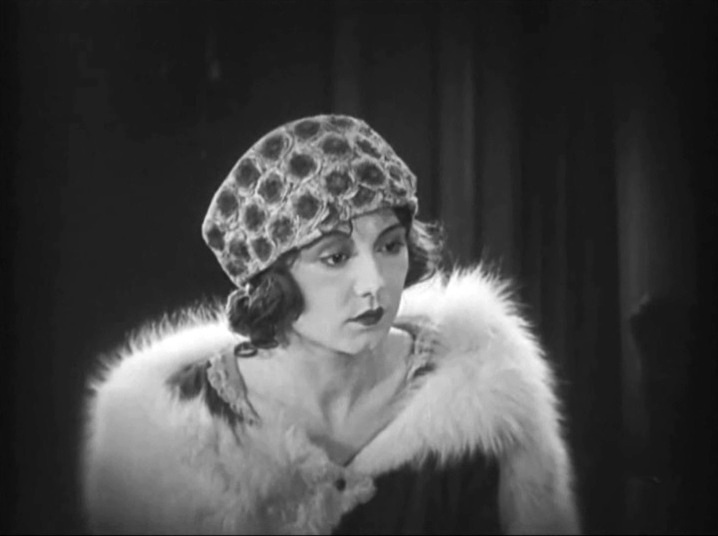 Beulah Booker in "The Saphead" (1920). Buster Keaton drops his cigar when Beulah Booker tells him that she loves him in "The Saphead" (1920). Buster Keaton digests getting a $1M check from his father in "The Saphead" (1920). 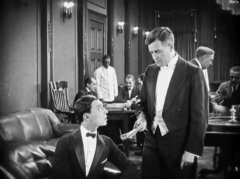 Buster Keaton talks to his father in "The Saphead" (1920). William H. Crane in "The Saphead" (1920). 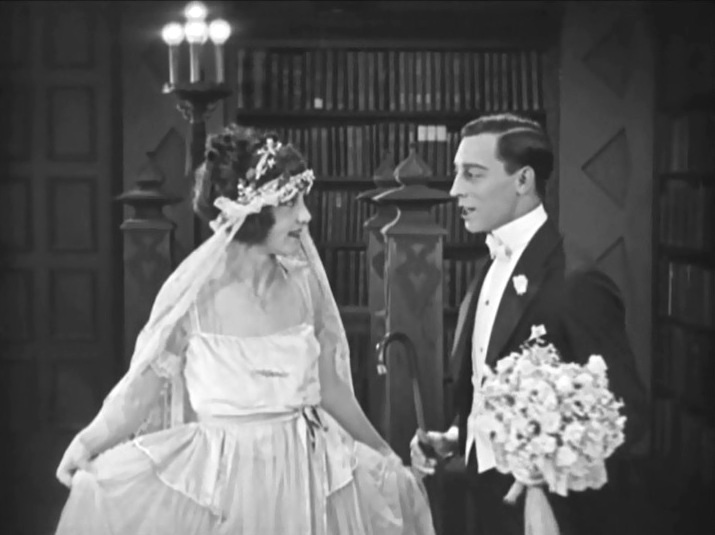 Buster Keaton sports a rare smile talking to Beulah Booker in "The Saphead" (1920).